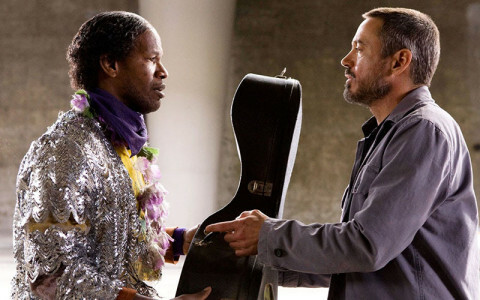 The Soloist is based on the true story of a journalist who meets a trained musician who has been made homeless due to his mental illness. 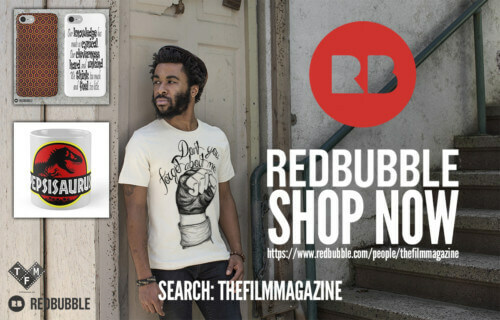 What really makes this film is that it is all too real; it is a poignant look at urban homelessness and the issues surrounding the treatment of mental illness. Where as many films of this nature play on our emotions so much that they almost become patronising, The Soloist does not; it is compassionate without being over the top. Both Jamie Fox and Robert Downey Jr give excellent and realistic performances and they have great chemistry on screen. Overall the film is very well executed and grips the viewer by the heart when portraying some very real issues. The Soloist kicks of this list at number ten. With a story from Quentin Tarantino, directed by Oliver Stone, and with a cast including Woody Harrelson, Juliette Lewis and Tommy Lee Jones along with Robert Downey Jr, how could Natural Born Killers not be on this list? The story follows two serial murderers who become glorified by the mass media, in the midst of this is Robert Downey Jr’s character, a confident, seedy and power hungry journalist. He plays the character with passion and charisma, and shows he can hold his own among an all star cast. Natural Born Killers is famous for its violent content and at the time of its release was seen as quite a controversial film as it was said to inspire many ‘copycat’ murders. Despite its violence, Natural Born Killers is a satire and it makes a bold statement about American culture in the early 90’s, a time where the glorification of crime and the public desire to watch the people involved was at a high. It was something different, caused controversy and got people talking about it, and if that is not the sign of a great film then I don’t know what is. Less than Zero sees Robert Downey Jr star alongside Andrew McCarthy and James Spader in what seems to be a very true representation of the LA club scene in the 80’s. 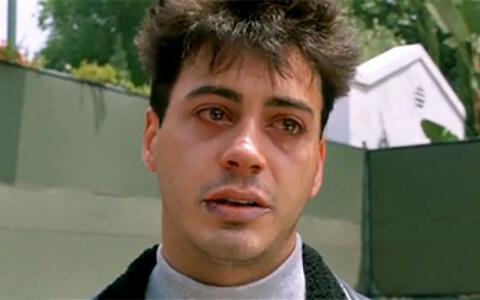 Robert Downey Jr’s character, Julian, enters into a downward spiral when his life is taken over by his addiction to cocaine. Many have said that the films honesty and realism is what truly makes it great; it does not glamorize drug use, it shines a light on what addiction is really like. In true 80’s movie style it captures a generation, or at least the scary side of one, meaning Less Than Zero is guaranteed to scare you straight. It is slick and stylised, and the directing is as genius as the acting. This was the first film that Robert Downey Jr really showed that he was maturing as a young actor, after coming off a string of teen films. Less Than Zero seemed to kick start his career and is the number 8 best film of his career. Kiss Kiss Bang Bang is a dark crime comedy that I feel is sometimes overlooked when it comes to great Robert Downey Jr films or just great films for that matter. It is action packed and very funny, and the pairing of Val Kilmer and Robert Downey Jr just oozes chemistry. It has a fast pace that is only enhanced with its quick, witty script – the humour is never forced – and it is the unexpected reactions of the characters to serious situations that make you laugh rather than obvious in your face jokes. That is what makes this film so incredibly clever. I must admit that this film may not be for everybody as its style is very different, as is its comedy, and the story does get a little complex because it is a spoof film noir at its core, but all in all it is different and sometimes different is good. 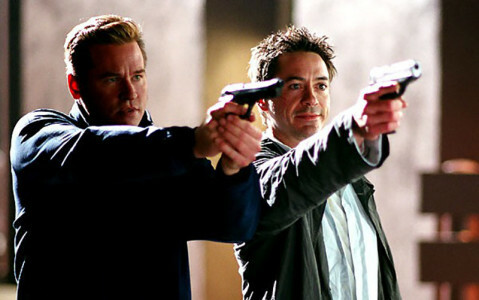 Kiss Kiss Bang Bang changes things up and the performances from both Kilmer and Downey Jr are captivating, earning its place at number seven on this list. Zodiac is no ordinary crime thriller, as in true David Fincher style he mutes all of the action you may expect to see from a traditional serial killer film and focuses completely on the characters, or more the characters’ role within the narrative, and once they have served their purpose Fincher does not keep them around for the sake of it. It is this focus that allows Robert Downey Jr to shine in this film, proving he is an actor that has the ability to make any character he plays completely captivating. Fincher presents us with a disorienting opening to the film showing the brutal murders from the killers perspective and then removes us from that completely for the rest of the film and it is this that makes Zodiac so different from your typical serial killer film. The pacing is slow, with a lot of plot lines leading to dead ends to reflect the investigation process to find an elusive killer. 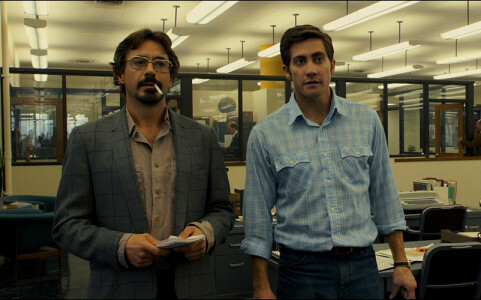 Zodiac is three hours of creepy and intense narrative with some incredibly well acted characters, in particular those played by Jake Gyllenhaal , Mark Ruffalo and Robert Downey Jr, whose character develops from a once confident reporter to a paranoid drunk when the killer calls him out personally. Once again Downey Jr delivers an amazing performance and Zodiac is an incredible film, making it number 6 on this list. 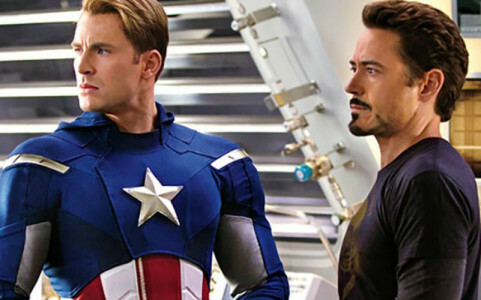 Joss Whedon’s Avengers is one of the biggest comic book movies ever to be released and one of its central characters is probably the one Robert Downey Jr is most famous for, Tony Stark (or Iron Man if you prefer). 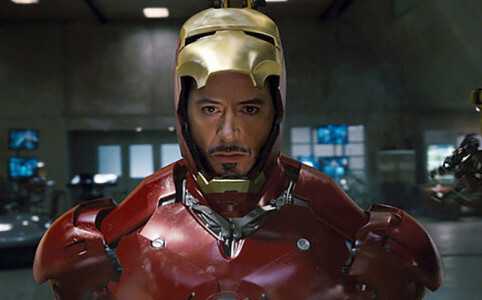 This was not the first time that we see this character as there had been two Iron Man films prior to the release of The Avengers, however it was the way how Robert Downey Jr commanded the screen surrounded by the rest of the amazing cast that allowed The Avengers to reach number five on this list. The Avengers is well written, action packed, colourful, well acted, funny and most importantly fun. It may not be the most critically acclaimed film that Robert Downey Jr has ever starred in but that does not make it any less great or any less successful, therefore cementing The Avengers firmly on this list. This is possibly my personal favourite film of Robert Downey Jr; his interpretation of the famous Sherlock Holmes is nothing short of genius. He brings a new dimension to the already legendary character and adds a humour and grittiness to Sherlock that I don’t think has ever been seen before, not to mention the dynamic chemistry between Jr and Jude Law is outstanding. Guy Ritchie’s edgy adaptation was received very well upon its release, even if some Sherlock fanatics were a little skeptical about his vision. It is funny, thrilling and most importantly Ritchie brings Sherlock Holmes into the 21st century and yet is still faithful to the beloved stories. It was, however, the performances of both Robert Downey Jr and Jude Law that made this film as great as it was. 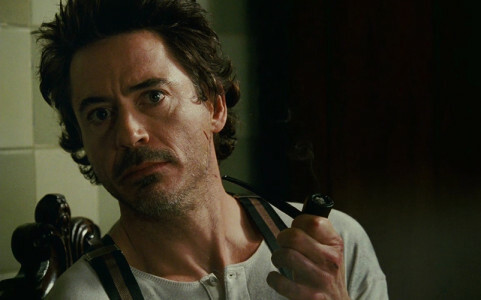 Law turned Watson from a mere sidekick to a cool, calm and very human character to counter balance the quirky, almost unhinged yet completely calculated character of Sherlock that is played incredibly well by Downey Jr; making Sherlock Holmes number four on this list. 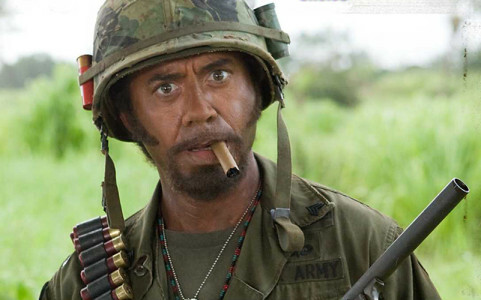 Lets face it Tropic Thunder has everything you could ever want from a comedy: a hilarious cast; a story that is a complete parody of the actors themselves; Tom Cruise in a fat suit, and; Robert Downey Jr playing an Australian playing an African American. 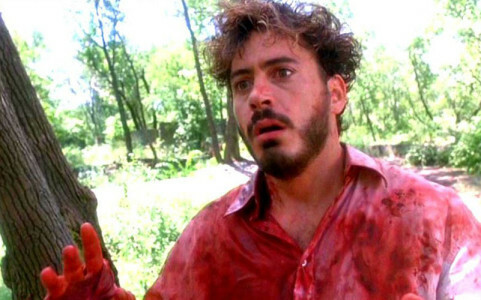 The film got such high praise, which is uncommon for such an obvious comedy, in particular Robert Downey Jr’s performance for which he received an Academy Award nomination. Every element to this film should be so wrong but they got it so so right. The writing is so clever that the jokes that should be crude and probably quite offensive become comedy gold; this is smart comedy at its best. Tropic Thunder took a risk, a risk that completely paid off, and Robert Downey Jr steals the show in the number three film on this list. Richard Attenborough’s biopic of the incredible Charlie Chaplin is a great film, but there are some cases in which the performance outshines the film and that seems to be the case here. It is in the outstanding accuracy that Robert Downey Jr portrays Chaplin that elevates this film to greatness and ultimately earned him an Academy Award nomination. His uncanny portrayal captures the true spirit of Charlie Chaplin and the characters he created. 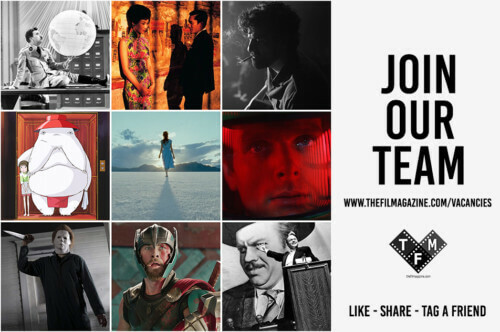 The film does not only illustrate the life of a great artist but it demonstrates just how important the silent stars were in the development of film making. 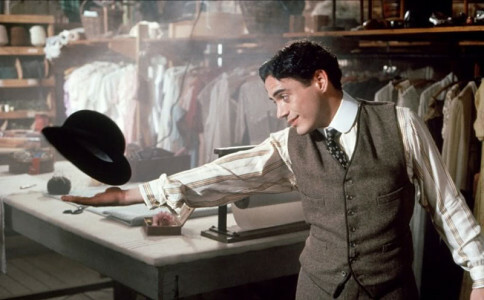 But again, I have to come back to Downey Jr’s performance as it is convincing and moving, and he manages with great precision to master some of the famous slapstick routines created by Chaplin. It is probably the finest acting performance he has ever given and brings the true essence of Chaplin to the screen once again. Iron Man is probably the most beloved characters ever played by Robert Downey Jr and is definitely his most famous. Iron Man makes number one on this list not only because it’s an awesome film but it was the very first film in the Avengers series. It was down to the success of Iron Man that we have the Avengers franchise we have today, and without Robert Downey Jr we have no Iron Man. Iron Man took comic book movies to a new level – it grounds the whole concept in reality – paving the way for bigger things to come. It is as it is meant to be: Big, flashy, somewhat cheesy, funny and simply spectacular. Robert Downey Jr is Tony Stark, making the line between actor and character is very much blurred and that is what makes his performance so effortless and his character so enjoyable to watch. Although this is obviously not a one man film, Robert Downey Jr is a huge part in making Iron Man such a huge success and such an amazing film, making it completely deserving of the number one spot.